The spirit animal portrait for this Finnish lady is now finished. It took a lot longer than expected and caused a fair bit of frustration. 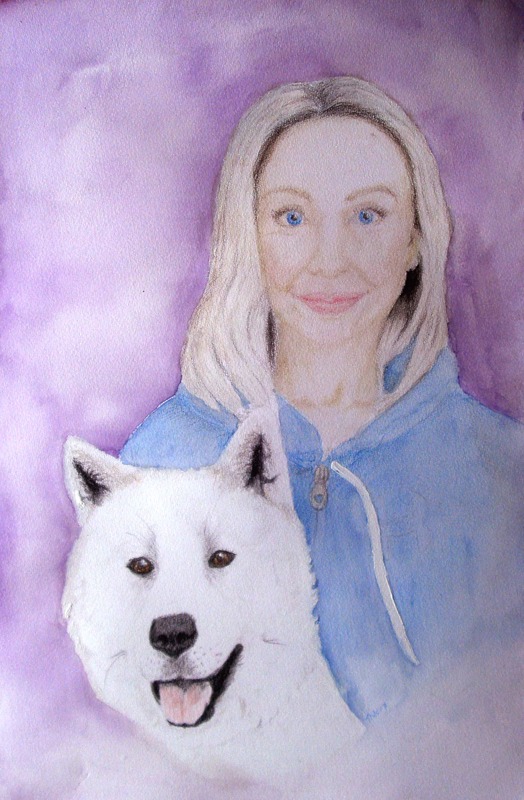 Pirjo’s animal turned out to be a dog and she told me that her Mom had a white, American Akita that she loved, so I decided to use that for the portrait. 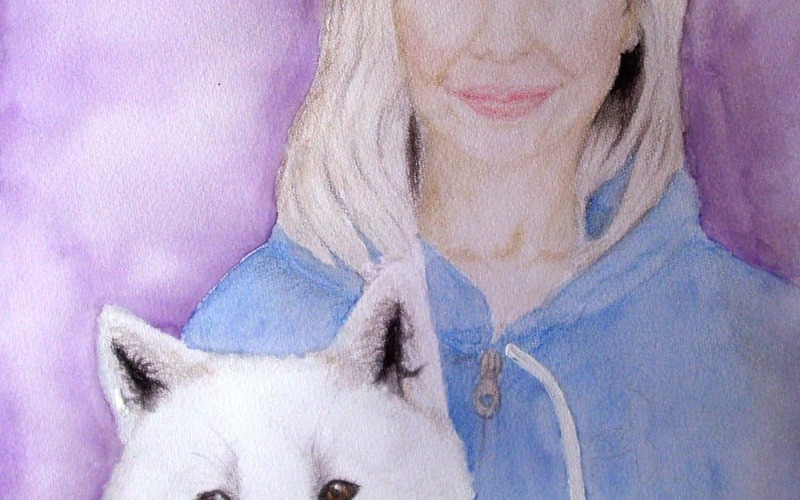 This did make the portrait even harder, though, since it was a blonde woman and a white dog. 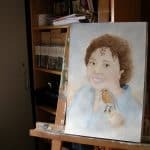 In the end, I created the portrait by blocking in the colours in watercolour and then adding the details and shading using coloured pencil. This is so gorgeous. I love the colours! 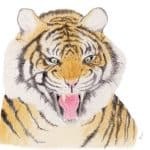 What can your spirit animal do for you?